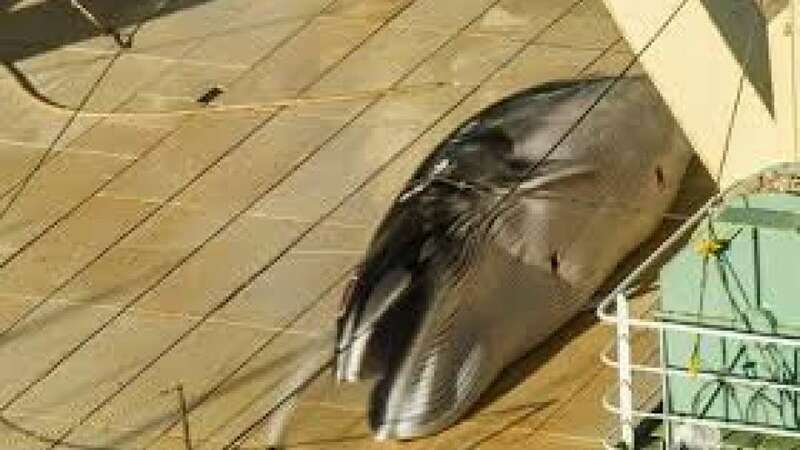 Sydney : A Japanese whaling boat was allegedly caught operating illegally in Australian waters, officials said on Monday. The Nisshin Maru was caught between Tasmania and Antarctica with a dead whale on board by a Sea Shepherd Conservation Society (SSCS) helicopter, Xinhua news agency reported. The group released images taken by the helicopter of the vessel with a dead protected minke whale on board and two harpoon ships nearby. Environment Minister Josh Frydenberg said the Australian government was "deeply disappointed" that Japan had resumed whaling. In a statement issued on Monday Frydenberg said that Australia was "opposed to all forms of commercial and so-called 'scientific' whaling". "It is not necessary to kill whales in order to study them," he said. "We will continue our efforts in the International Whaling Commission to strongly oppose commercial whaling and so-called 'scientific' whaling, uphold the moratorium on commercial whaling, and to promote whale conservation." Jeff Hansen, a member of Sea Shepherd, said that crew on board the Nisshin Maru quickly covered the whale with a tarpaulin once they spotted the helicopter. "They're hit with an explosive harpoon that goes straight into their body, hooks come out and shrapnel is sent through their body, it's a terrible bloody death... these whales can take up to 30 or 40 minutes to die," Hansen told the Australian Broadcasting Corporation (ABC). "A soon as the whaling fleet saw that Sea Shepherd on the scene, they were scrambling to cover up their illegal operations, they were covering up their harpoons."